Yep, Pittsburgh Seminary has promised to give me my Doctor of Ministry. That got me thinking about what people should call me. The Rev. Dr. Robert Campbell? Yeach. I still prefer Pastor Bob. After all that's what I do. 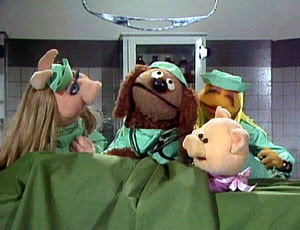 Still there is another possiblity from the Muppet Show: . .
Congratulations, Dr. Bob! I am proud of ya!